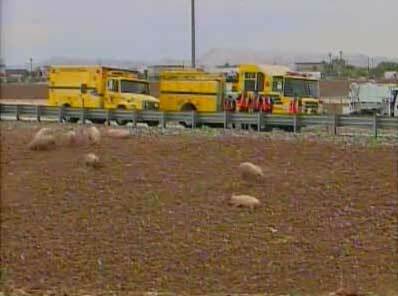 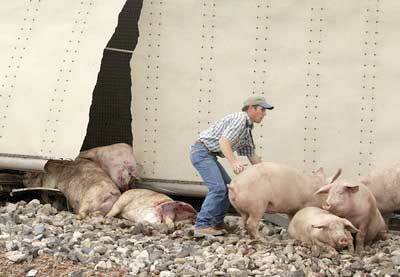 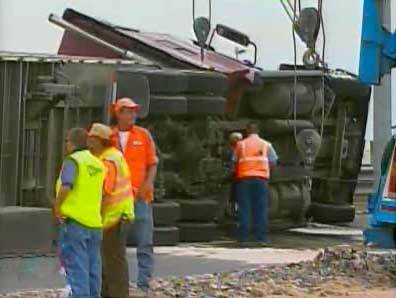 On Sept 21, 2007, a truck carrying 160 pigs to a slaughterhouse overturned on I-215 in Las Vegas. 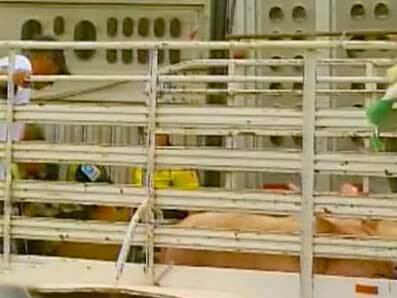 47 pigs died in the accident and most of the survivors were trapped inside for nearly three hours until another truck arrived to take the pigs and the truck could be uprighted. 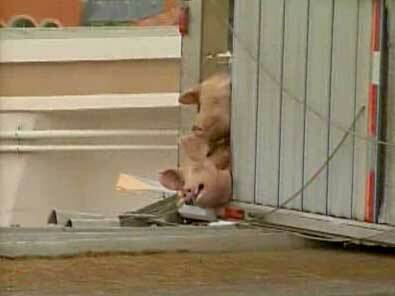 About a dozen pigs escaped through a crack in the roof of the trailer. 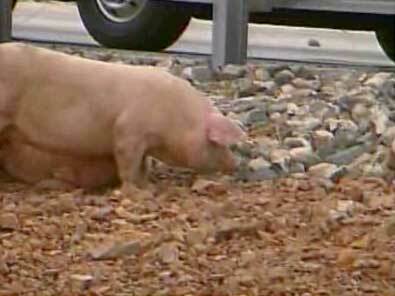 Some injured pigs were euthanized at the scene.